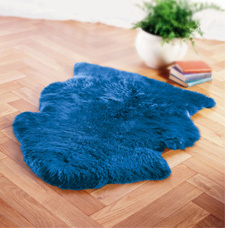 Longwool is a range of super luxurious New Zealand wool sheepskin rugs. Unlike many other sheepskins available on the market, the skins in this range are actually made in New Zealand; home of the most luxurious wool in the world. Available in a multitude of sizes and an unrivalled variety of colours, you are unlikely to find a better selection of sheepskins under one roof. Longwool truly sits at the top of the line in the sheepskins world. Use your natural sheepskin as a rug or a throw to add a bit of luxury to your living room or bedroom.